Google Analytics provides some great stats, graphs, reports, and traffic information etc. about your websites and blogs but only if you’ve properly added the Google Analytics code to your sites. This information and visual data can be very useful in growing your sites’ traffic and building your online empire of quality content over time. It’s a no-brainer that knowing where you’ve been, and where you are currently, will help you get to where you’re going and want to be, right? 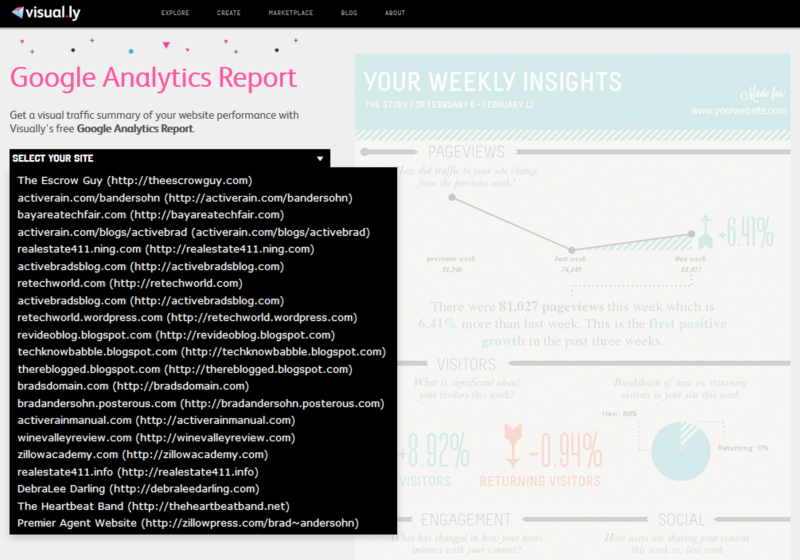 Google Analytics provides some very useful information, like the the dashboard…. And one of my favorites from GA is the Multi-Channel Conversion Visualizer. Now there’s a way to get data without going to Google Analytics, and have it delivered to your inbox! Visual.ly has recently created a way for you to view and share some of that important information by providing a free, cool looking and well presented info-graphic. Get weekly insights and updates on all yours websites and blogs. Let me show you how it works. The first step is to create your free account on Visual.ly. The second step (if you haven’t already) is to install the Google Analytics codes on your websites and blogs where applicable. It’s that code that looks something like this <UA-1137703x-xxxx> The third step is to simply select which site or blog you want as your info-graphic source, and you’re done. Visual.ly does the rest for you. 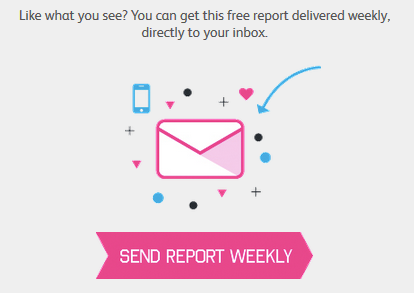 If you like the final product that Visual.ly produces for your site, and you’d like to track and see your sites broken down visually on a weekly basis, they’ll even send you a copy in your email every week so you don’t have to keep recreating the visual reports. So what’s in it for them and why are they doing this for you and I free? They just want you to share this with others like I’m sharing it with you. So go ahead, click on the share tools below, and share these awesome Google and Visual.ly tools with your friends.